What’s the probability of catching a red fish? Great way to revise probability with the whole class. Let each team write down their answer, while you reveal the correct answer. 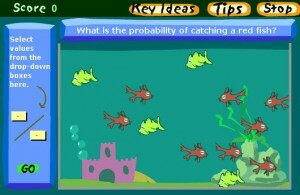 This entry was posted in Maths and tagged k5, probability by smart. Bookmark the permalink.